Marvelous Europe have announced that Fate/EXTELLA LINK, which is a musou-styled combat game and direct sequel to the events of the 2017 multi-platform release Fate/EXTELLA: The Umbral Star, will be released on the 22nd March 2019 for the Nintendo Switch, PlayStation 4 and PlayStation Vita. A Windows PC release will also be available worldwide on the 19th March 2019 via XSEED Games. In addition to this release date announcement Marvelous Europe also confirmed details of a Digital Deluxe Edition for Fate/EXTELLA LINK which will be made available for the PlayStation 4, PlayStation Vita and Windows PC. 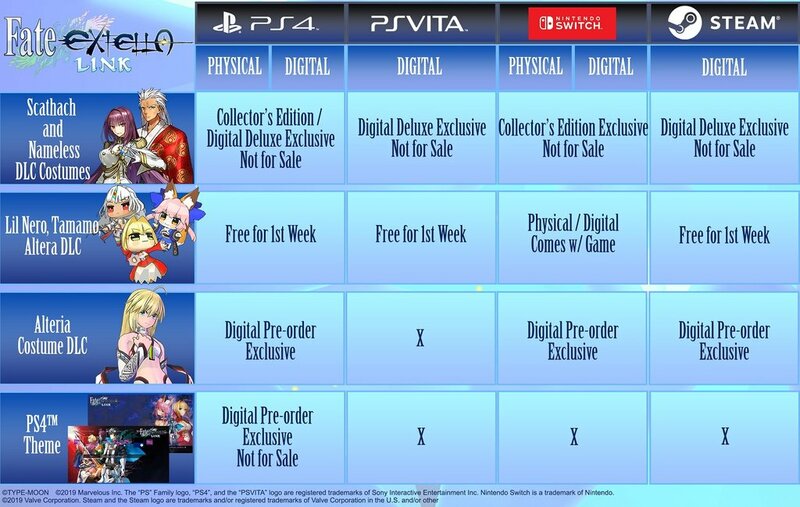 Marvelous Europe also went on to explain that digital pre-orders for both the standard and digital deluxe editions of Fate/EXTELLA LINK will be available to pre-order from the 1st March 2019 on the Nintendo eShop and PlayStation Store; with the Windows PC version currently available to pre-order on the PlayStation Store. Those who do pre-order digitally will also receive access to the Alteria Outfit for Artoria Pendragon, with PlayStation 4 pre-orders also gaining access to a PlayStation 4 theme. Pre-order details aside a selection of Lil outfits which come bundled with the Nintendo Switch version of Fate/EXTELLA LINK will also be available for FREE during the first week of release. 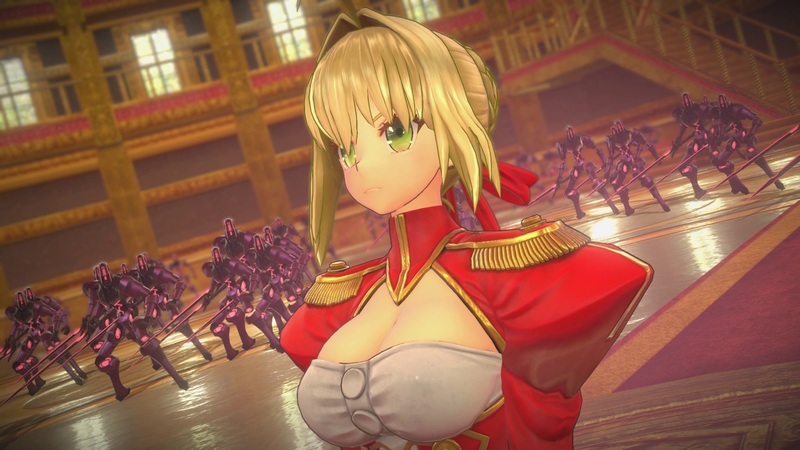 In short Fate/EXTELLA LINK will be released digitally and physically on the 22nd March 2019 within Europe for the Nintendo Switch and PlayStation 4 as well as digitally for the PlayStation Vita and Windows PC. Two physical Collector’s Edition releases, known as the Joyeuse Edition and Emperor of Paladins Edition, will also be released for the Nintendo Switch and PlayStation 4; with both additions currently available to pre-order on the Marvelous Games website.